Immense congratulations to Michael ‘Macca’ McIlwrath and Peter Dickinson on recently notching up an incredible 30 years with Varley! 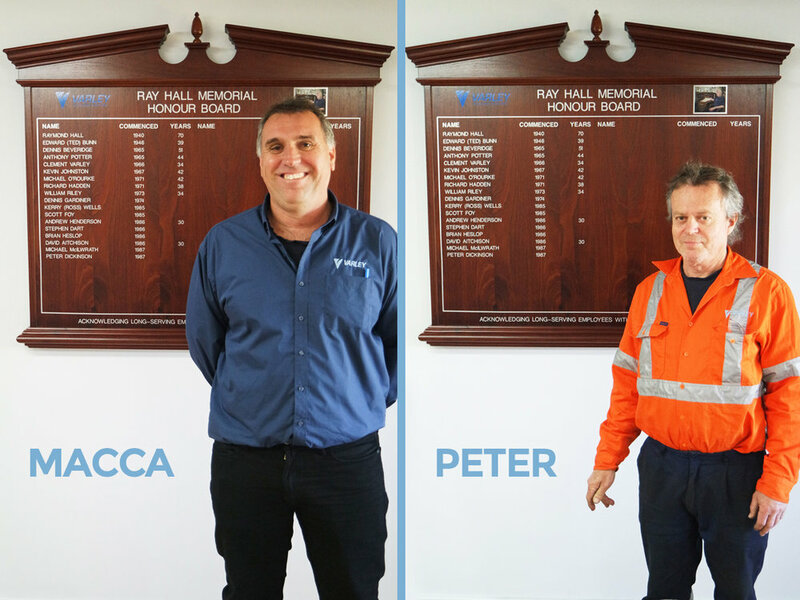 Macca and Pete have been added to our Honour Board recognising current and former employees whom have served the company for 30 years or more. Well done and sincere thanks to Macca and Pete from everyone at Varley for helping to build our ongoing successes!